Virtual IT Manager & Remote support solutions. the fastest response for your support issues and access to the best hardware. Come an join our IT Support team, click on Careers above. Our Advanced Monitoring service protects Servers, Desktops and mobile devices and includes access to our 24 hour Network Operations Centre (NOC) where our certified engineers will work on any issue day or night and actively remediate problems as they arise – usually without you knowing there was ever a problem. We include advanced tools and our managed av/malware service is included with every monitoring client. Our managed services include the very latest software to prevent attack from the many threats that exists today & tomorrow, All our managed services include Webroot Antivirus & Malwarebytes Pro anti-Malware software. We look after everything so you don't have to worry, software updates and definition updates are all included while you are a managed services client. Full internet security is included and Identy theft servicess are also employed. 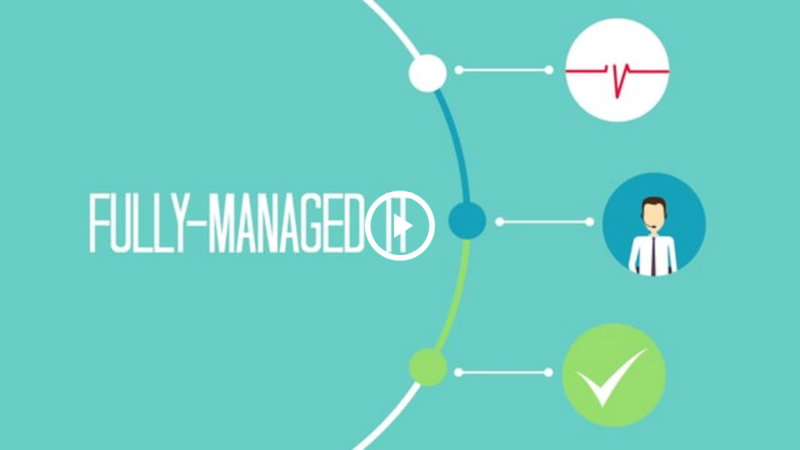 Our Managed services have the full suite of tools needed to protect you. We have our own Email filtering and security server in a Private Cloud, this is not a shared service it’s only for use by our clients. This means its fast, email is delivered to our cloud server and goes though a series of advanced checks and multiple virus scans to verify the message is safe, virus/malware free and not spam, this is all done in milliseconds and if the message passes these checks it is then delivered onwards to your mail server. We have developed our own Private cloud backup solutions that can protect your data from the new wave of Crypto Malware, backup being the only reliable means of defence. Our solution is hardware based and provides an hourly local and cloud backup and the ability to start an entire server in a virtual environment on the backup device in case of disaster, you could be up and running again within minutes of a disaster leaving us with the time to replace hardware on a server failure if needed. If total disaster happens your servers can be started on the private cloud and you can be operational at a remote location with all your data if required. Alongside our managed services we can offer Remote & Onsite technical support, network planning and deployment, Multi-site WAN and Internet Connectivity & supply hardware from the worlds top manufacturers. If you are an existing business or a new startup we have the solutions to get your organisation running smoothly. We have experience with all the major software manufactures such as Autodesk, Microsoft, Sage, Quickbooks, Auto-task, Adobe to name a few and can apply our solutions to any business type or size. Why Choose Sydo IT ? Sydo IT Services have been working within the IT service industry for over 20 years, with many of our loyal customers being with us for over 15 years, they rely on Sydo IT to provide cost effective tailored solutions to their IT needs. We have a very personal approach and like to get a real understanding of our customers operations, this allows us to provide the correct solution the 1st time. Sydo IT looks after a huge array of organisation types, from Financial, to Design houses and even manufacturing and industry, this broad spectrum of clients has enabled us to see how IT works for many different customers and because of this we know what would work for you. Based in Saltaire we are within easy reach of our customers although no distance is too far with clients from Edinburgh to London centre, with remote support being built into to our managed services we can be onto your systems in seconds to resolve issues as they happen. With our fully qualified technicians all working 24/7 in the background to monitor and resolve issues as they happen, in most cases before you are even aware of any issues. Give us a call today for a Free IT health check. We have accreditations from the following suppliers and many more, were always looking to improve and be on the leading edge of emerging technologies. Sydo It Services have been totally professional in their approach to our systems, their knowledge of new technologies and the response times when an issue occurs are second to none.